This week the Dogs Trust, the UK’s largest dog welfare charity, invited a host of MPs and Peers, including Craig Mackinlay, MP for South Thanet to its annual House of Commons reception, where the charity - who coined the famous slogan ‘A dog is for Life, not just for Christmas’ - asked MPs for their support in the fight against Puppy Smuggling. Dogs Trust has been investigating the problem since 2014, and through three undercover investigations has found that unscrupulous breeders take advantage of, and profit from, issues with the Pet Travel Scheme (PETS). As a result, underage and poorly cared for puppies are being illegally imported into Great Britain from Central and Eastern Europe, and sold to unsuspecting members of the public. Dogs Trust has warned that although there is a rise in puppies illegally imported during the festive season, illegally imported puppies is a huge issue all year round. The organisation has issued advice to help anyone thinking of buying a puppy, to know what to look for, in a bid to stop buyers unwittingly fuelling the trade. The charity has also issued a plea to anyone thinking of getting a dog, to do their research or consider re-homing instead. 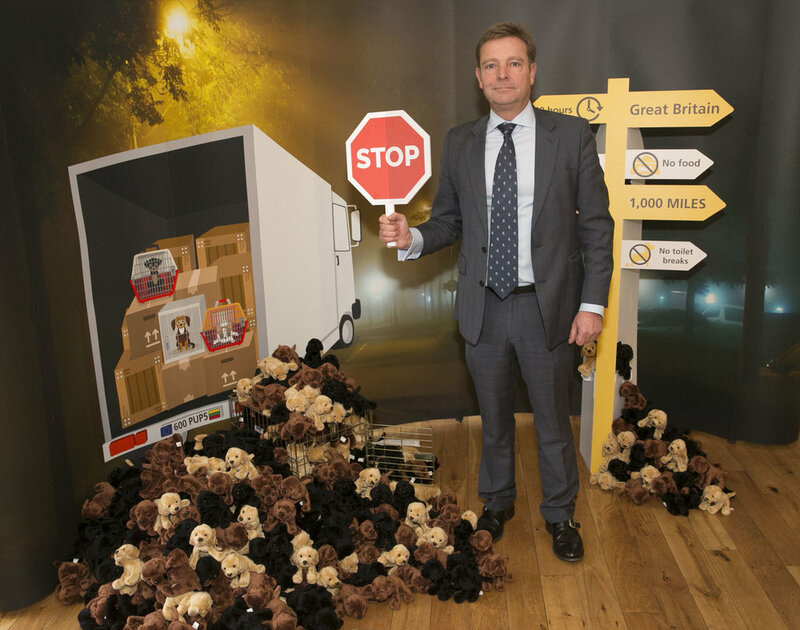 “I’m very pleased to support Dogs Trust in raising awareness of the plight of illegally imported puppies, who suffer the most harrowing of journeys at the hands of these unscrupulous dealers. “It’s imperative that the Government takes immediate action by enforcing proper checks at the ports and on-the-spot fines to deter these breeders and dealers, as well as introducing revised legislation as a priority when the UK leaves the EU. “It’s a shame that we still have to remind people of our slogan, ‘A dog is for Life, not just for Christmas’ nearly 40 years on from its creation. We always encourage responsible rehoming, but as we’ve seen, dealers will go to great lengths to dupe innocent people, making it increasingly difficult for people to spot an illegally smuggled puppy. “Over the next 12 months, we will continue to push for proper enforcement at UK borders. We will also continue our Puppy Pilot scheme, which rescues puppies seized at borders, funds their quarantine and rehomes them responsibly. So far, this scheme has saved more than 600 puppies.